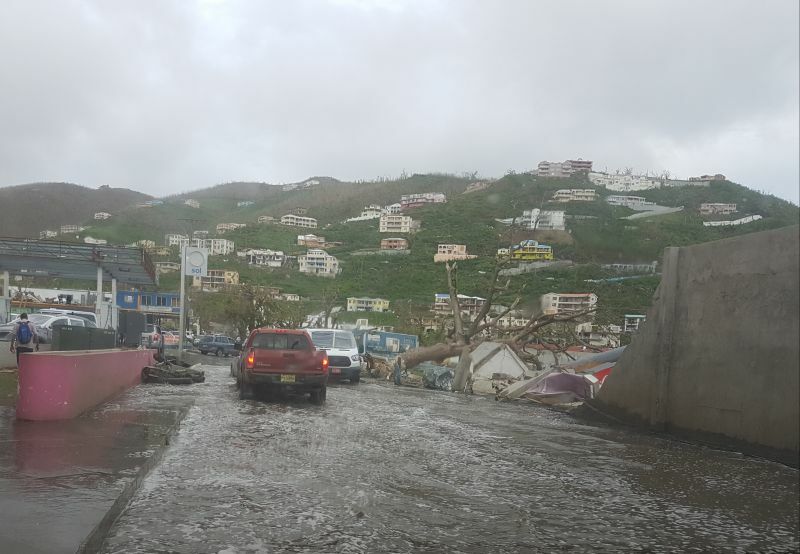 ROAD TOWN, Tortola, VI- Inclement weather continues to affect the Virgin Islands, causing flooding in low lying areas and forcing Government Offices to close early today, October 11, 2017. The Elmore Stoutt High School, now located in Pasea , also dismissed students for the day at around noon. 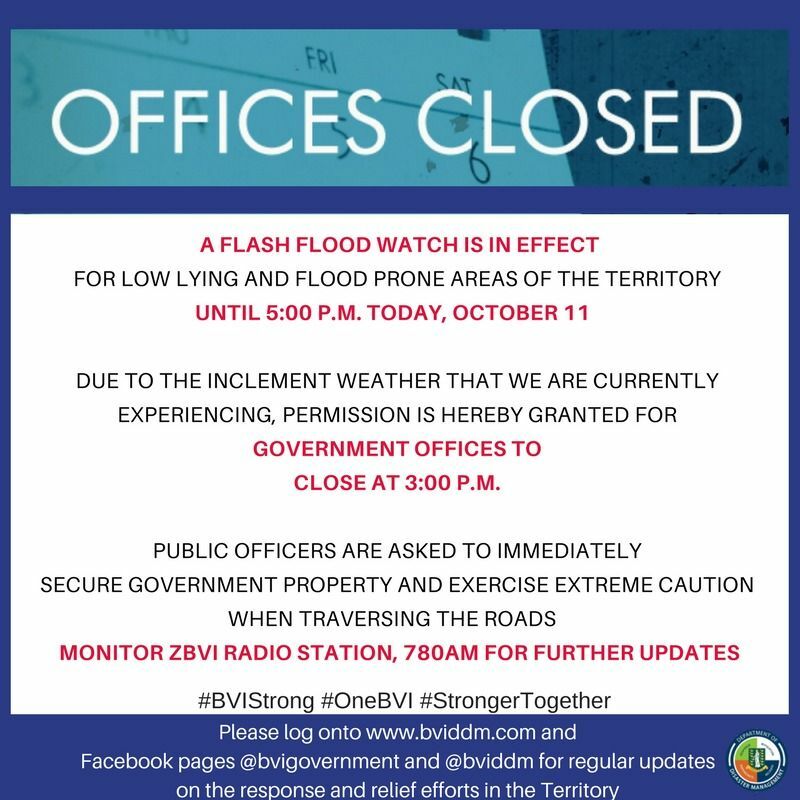 A flash flood watch is in effect for low lying and flood prone areas, valid until 5:00 PM this evening, according to the Department of Disaster Management (DDM). 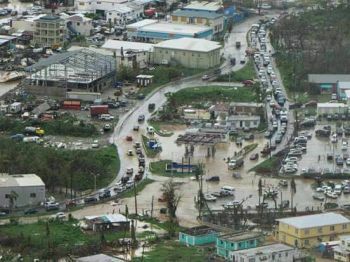 Flooding was reported in parts of central Road Town, Pasea Estate and Paraquita Bay. Government offices closed at 3:00 PM and the public was asked to tune in to ZBVI 780 AM radio for updates. According to DDM, a deep layer trough over the area is causing periodic heavy showers and thunderstorms. 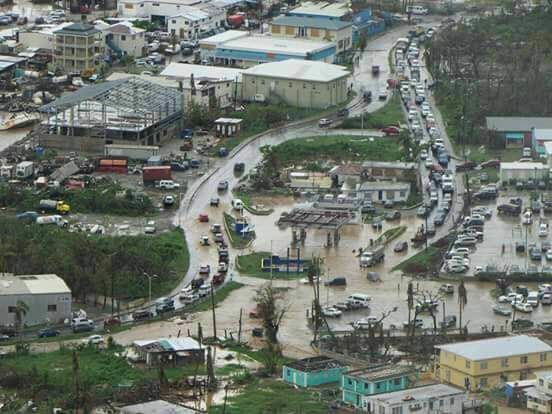 Poor we when it rains it pours! Does this mean another delay in pay? This is not News. They get all the breaks. 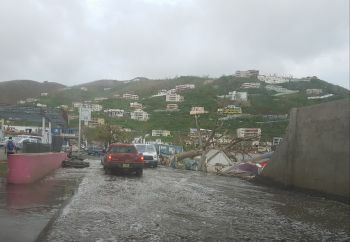 Little Heavy wind, little Heavy Rain go home.. this is a regular occurence.....They work 33 hrs a week. 830 to 430 with an hour lunch included and 2 15mins breaks.. Stop fussing about Salary being late. U all have life sweet....too sweet. You all will get pay.. That is certain..
Who's problem is that? Now is a good time to start paying less attention to material things and living beyond their means. Start saving for a "rainy or stormy day".